After a very busy semester for us all, we eagerly anticipated some time off this summer as a family, and also looked forward to Denise’s parents visiting us from New Zealand for six weeks. We decided to take this opportunity to view some of the country, and hit the road. The first road trip saw us drive to Las Vegas, then to Sedona in Arizona, and back to Los Angeles. A mere 1500 mile round-trip, which if it was at all possible, would be like driving from Wellington to Sydney and beyond. We only covered parts of three states (California, Nevada, and Arizona), but it was enough to get a sense of the absolute vastness of this country. 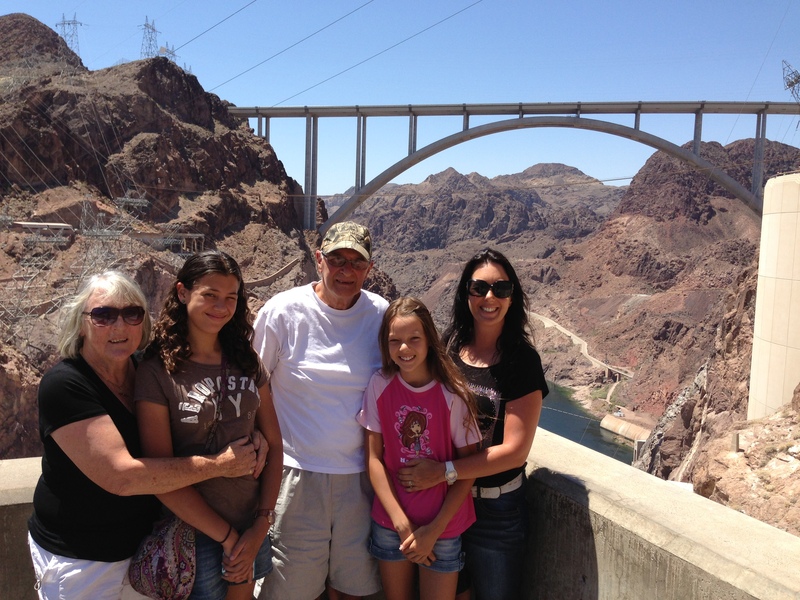 After a whistle stop in Las Vegas for one night, whereby we were accompanied with the Burling family, we headed Southeast toward Sedona, stopping off just 35 miles along the way to see the very impressive Hoover Dam. 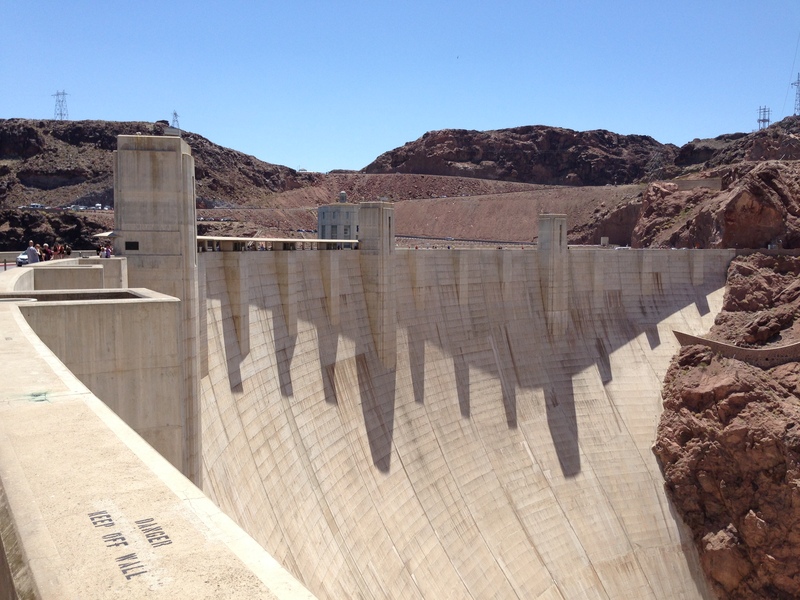 The Hoover Dam is a massive structure that forms part of the border between the states of Nevada and Arizona, and sits upon the Colorado river. 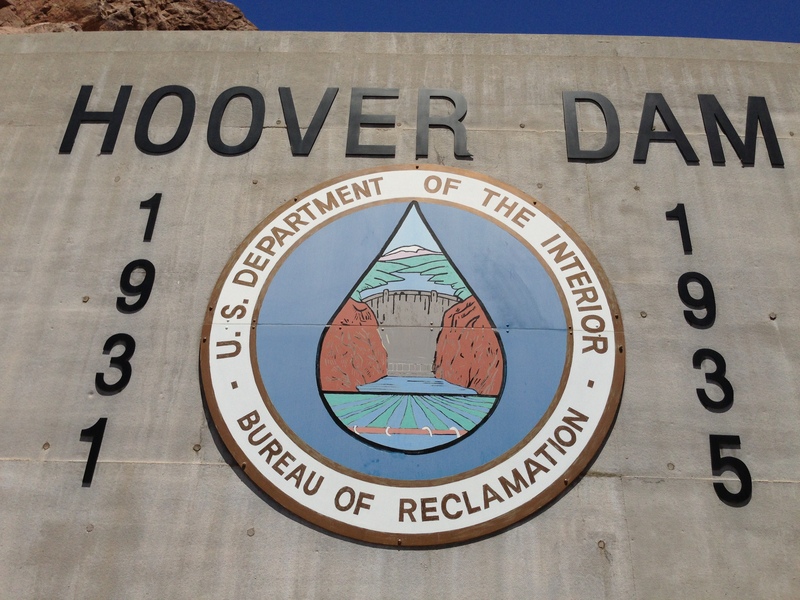 Built in the 1930’s, the Hoover Dam is considered to be the largest dam in the world, providing much of the power and water to the Southwest of the United States, which is largely an arid desert climate. We soon discovered exactly how dry it was as we drove through it! For $US11, we parked the car, and spent hours walking across the dam, further gaining an appreciation of it’s immensity and size, as well as being able to view the spectacular highway bridge that stretches across the Colorado river.